Endothelial dysfunction can be considered the first, asymptomatic step of the atherosclerotic process. It is characterised by an imbalance between substances with vasodilating, antimitogenic and anti-thrombogenic properties (first of all nitric oxide, NO) and substances with vasoconstricting, prothrombotic and proliferative characteristics (also known with the generic term endothelium-derived contracting factors, EDCFs). Endothelial dysfunction, involving both micro- and macrocirculation of cardiac and peripheral districts, is a common trait of essentially all cardiovascular risk factors, including essential hypertension. In hypertensive patients, reactive oxygen species are the main cause of reduced NO availability. However, current evidence suggest that endothelial dysfunction is not a direct consequence of high blood pressure values. Indeed, impaired endothelium-dependent vasodilation is observed in young offspring of hypertensive subjects despite the presence of normal blood pressure values, as well as in individuals with prehypertension. 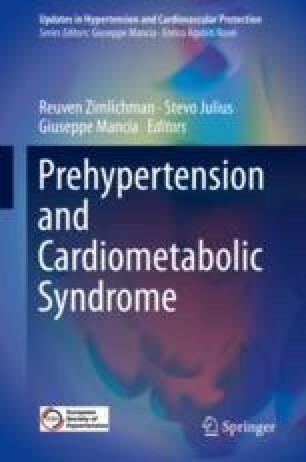 In prehypertensive individuals, a reduced NO availability, as well as an increased vasoconstriction in response to endothelin and an impaired endothelial repair capacity, are present. Disclosures: ST received research grants from Novartis, Servier, Recordati, Menarini and Boehringer and is on the speaker’s bureau for Servier, Recordati, Novartis and Boehringer.